League of Explorers is a single player campaign for Hearthstone, through which you can unlock 45 new cards and a unique card back for your collection. The campaign can be accessed by players who have unlocked all 9 heroes. You will fight 3 unique bosses per wing in the first 3 wings, and 4 unique bosses in the final wing. Each boss has a unique Hero Power, and a combination of unique and existing cards (including class-specific cards from multiple classes). Some of the cards bosses use are inaccessible to players, and they have seemingly imbalanced effects. Defeating a boss rewards you with 2 copies of a new Common, Rare or Epic card. Defeating all the bosses in a wing rewards you with a new Legendary card and unlocks the Heroic mode of the wing, where the bosses have even more overpowered Hero powers. 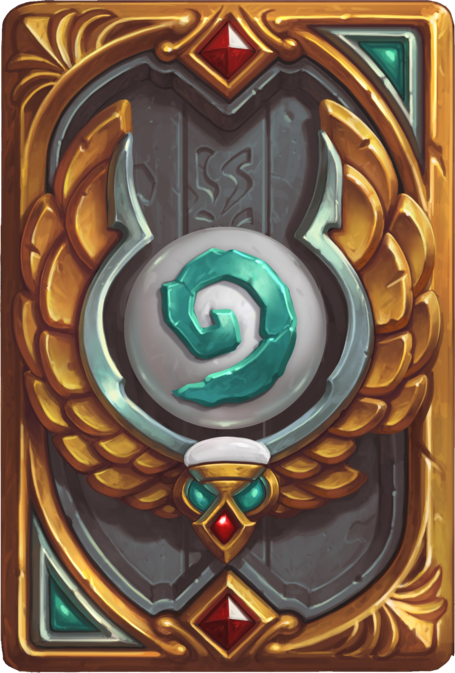 Finishing all of the wings in Heroic mode will grant you a unique card back. League of Explorers also offers class challenges. Each class has one challenge to complete and it consists in playing against a predefined League of Explorers boss with a predefined deck. Winning the match grants you a new class-specific card and unlocks the craft of the golden version of the same card. Buying the adventure or any of the wings grants you 2x Explorer's Hat and 2x Forgotten Torch. We will add the loot rewards for other wings as they get released. 10 Dec. 2015: Added Hall of Explorers bosses and rewards. 03 Dec. 2015: Added The Ruined City bosses and rewards. 20 Nov. 2015: Added Uldaman bosses and rewards.